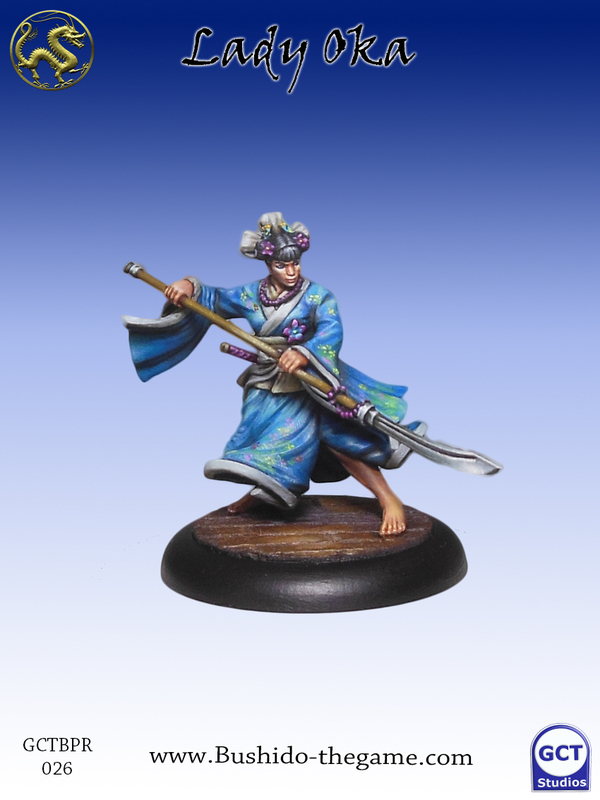 It's time to get another look at some upcoming figures for Bushido. 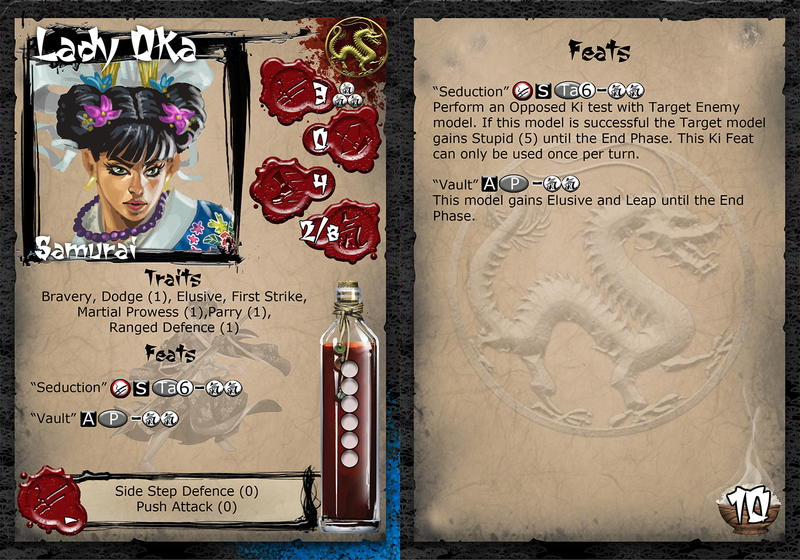 This time we get a look at some new pirates and some new figures for the Prefecture of Ryu. As I mentioned in a previous preview, the stats for these figures seem once more a "return to form" for some of the figures for the faction. First, the quick one is we don't actually get the stats for the pirate. Sad, but sometimes that happens. 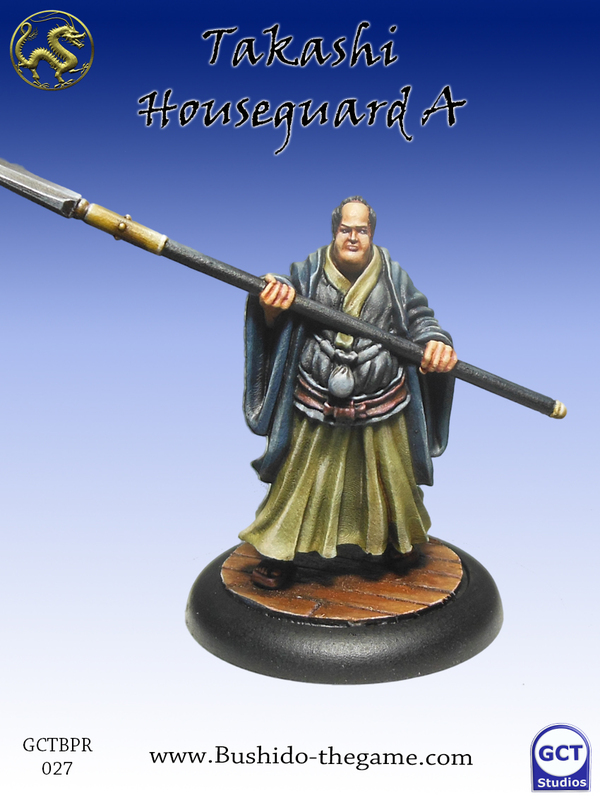 As for the figures we get the stats for, we'll start with the Takashi Houseguard. 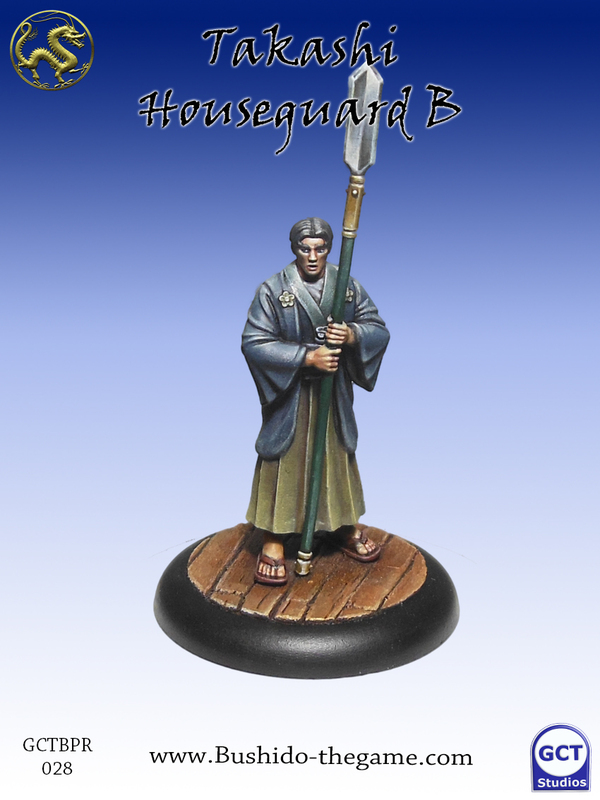 If the figures look familiar, it's because they're the standard guard models from Rise of the Kage. 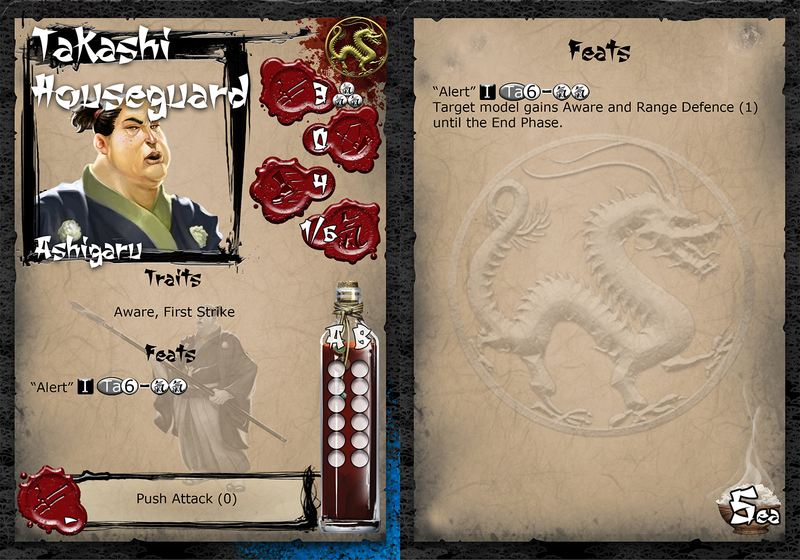 Since they made it past that stretch goal back during the Kickstarter, they get Bushido stats. As you can see, they're non-unique and fairly cheap. But they are decent enough for the price. 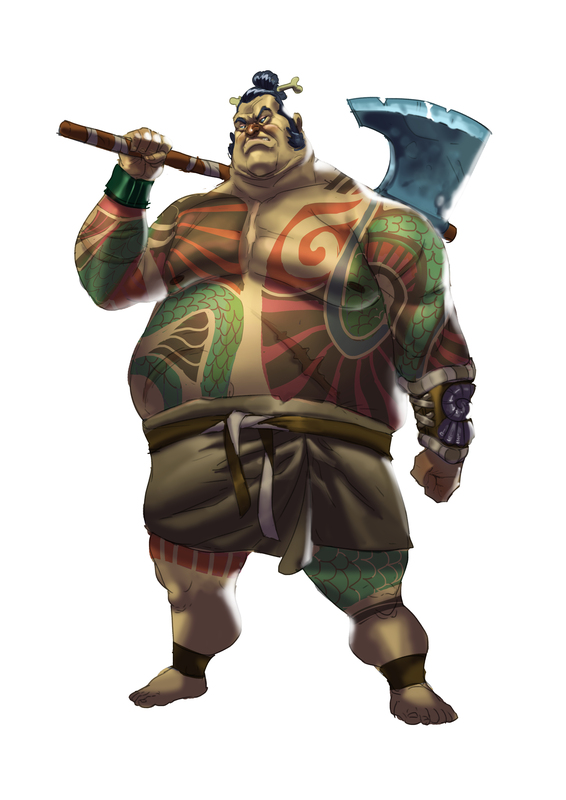 We also get Lady Oka, who knows how to both spear enemies with her staff as well as wile them with her charms.